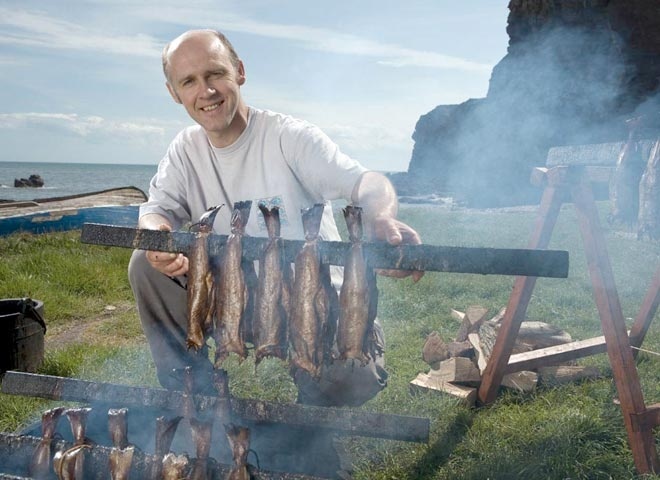 Iain’s reputation (or at least, the reputation of his Smokies) means he’s regularly featured in the media and makes regular appearance on television. "Awesome!" 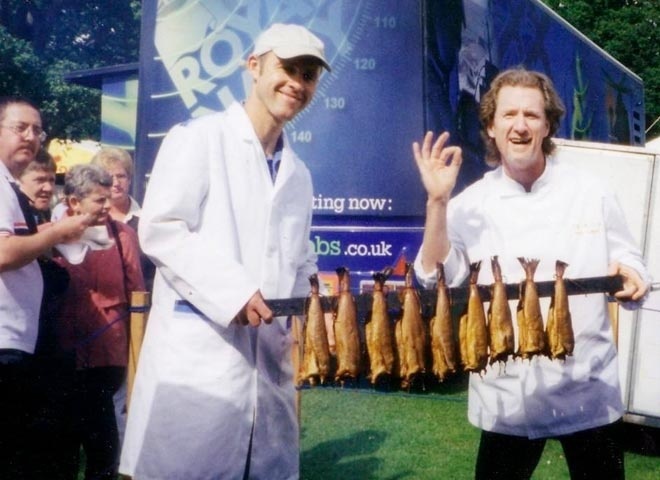 Paul Rankine shows his approval for smokies! "Next please!" 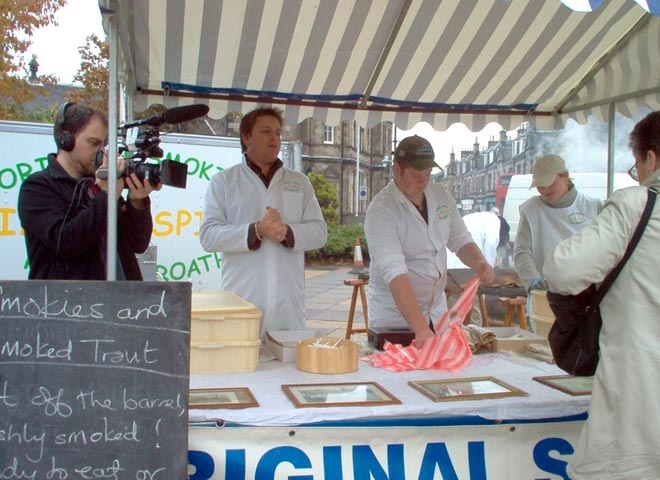 James Martin helping out at Kirkcaldy Farmers Market. 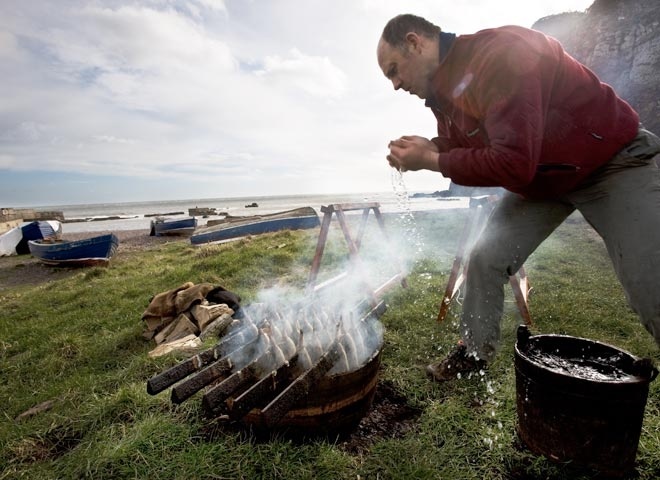 US TV presenter Jeff Corwin filming for his Extreme Cuisine show. 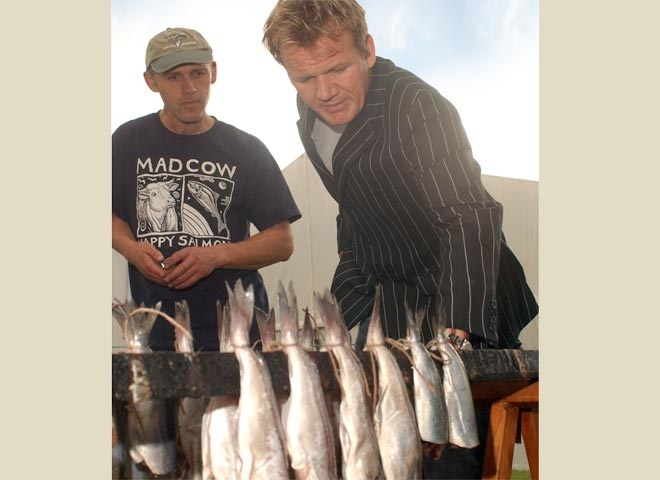 Gordon Ramsay inspecting the fish waiting to be smoked at the Dundee Food & Flower Show. 'Thirsty work.' A quick cuppa during another photoshoot. 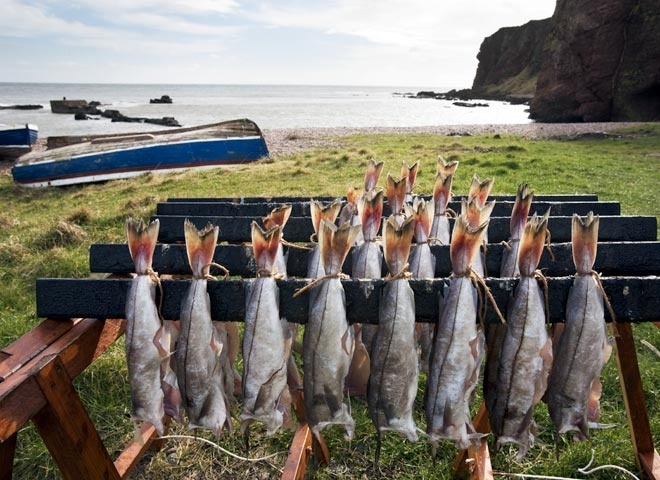 'Ready for Cooking.' 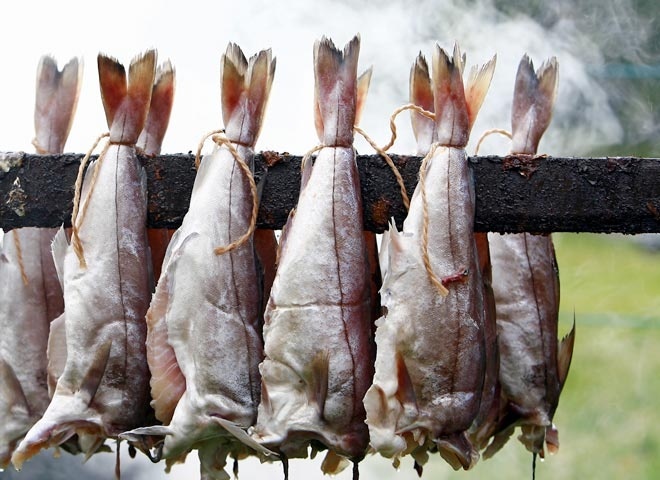 Freshly prepared haddock waiting their turn to be smoked. 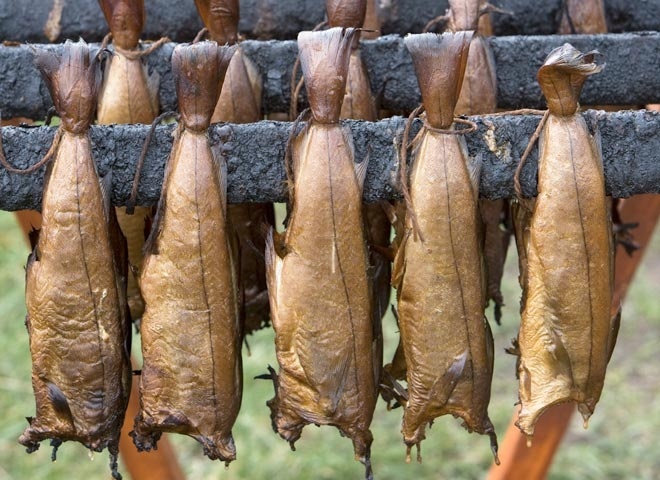 The hessian bags that cover the fish during smoking are removed to reveal the cooked golden smokies. 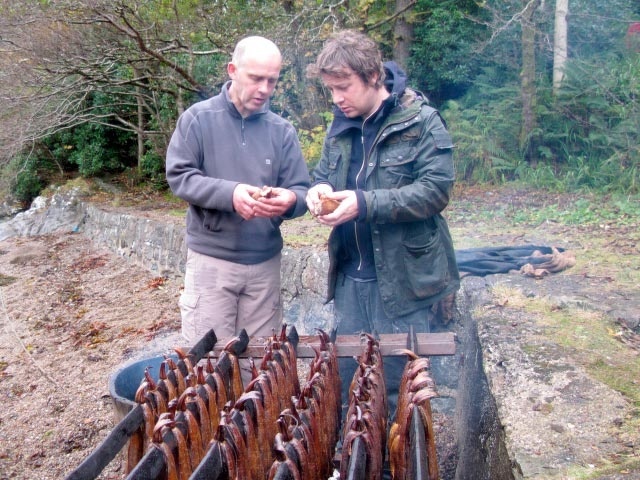 Smokies in their true home, Auchmithie, hanging up on the special sticks in preparation for smoking. 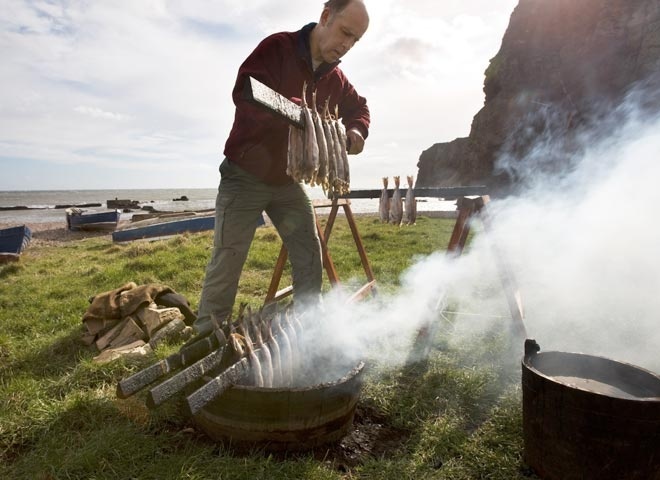 Another batch of fresh haddock being placed over the fire to be cooked and smoked. 'Dampening the flames.' A wee splash of water helps to keep things under control. 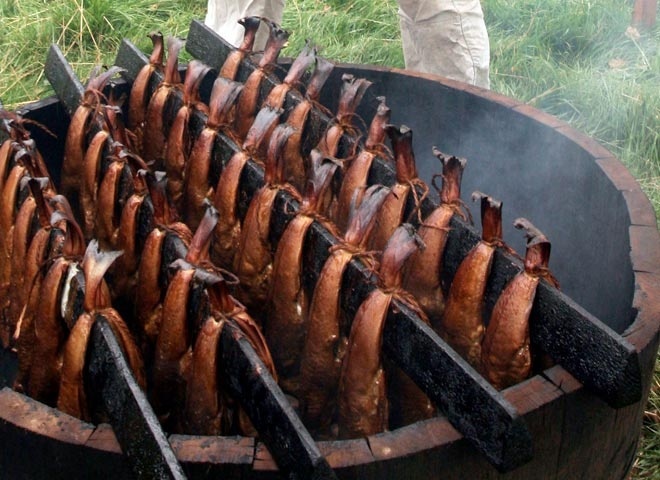 'Almost there' - fish being turned around on the barrel to ensure a perfect even smoke all over. 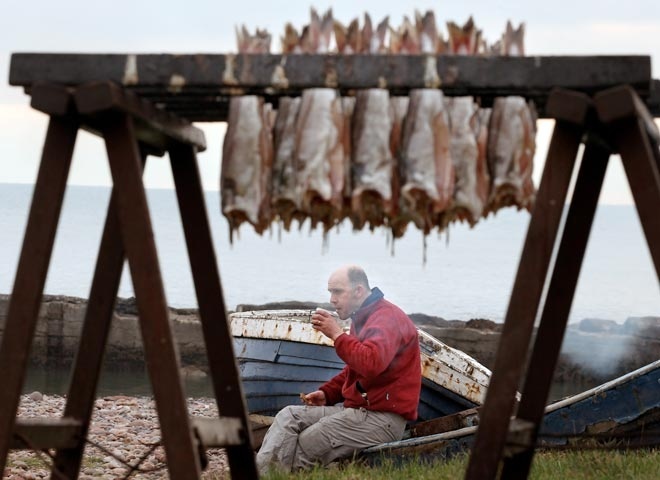 'That's them ready.' 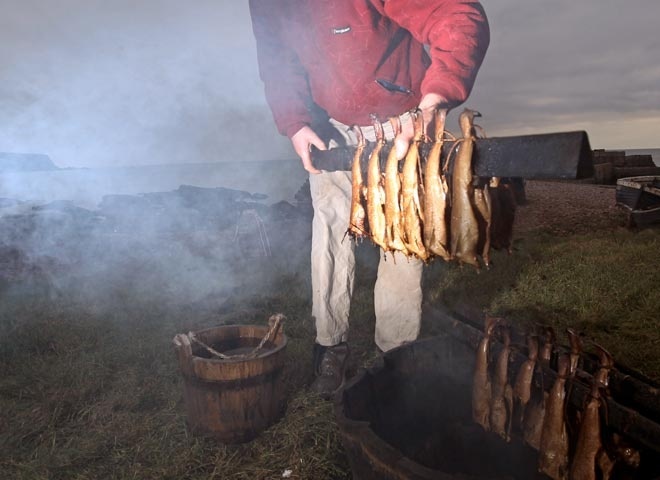 A whole batch of beautiful Arbroath Smokies ready to be lifted from the fire. 'Say Cheese.' 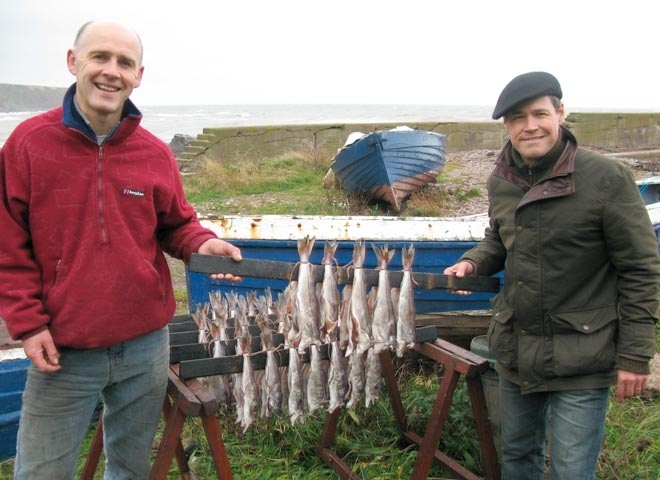 This photo was used by McEwans for their 'Local Heroes' advertising campaign. 'The Finished Article.' 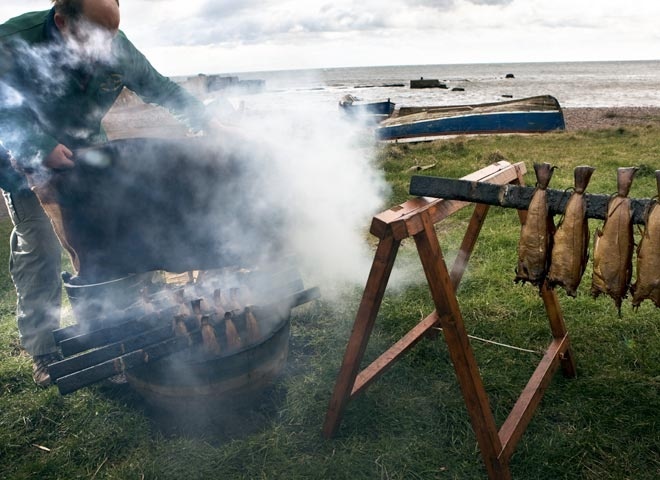 A stick full of perfect Arbroath Smokies. NB. 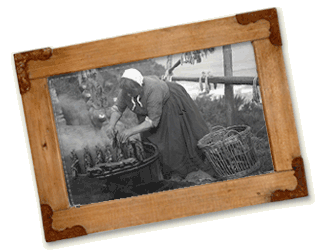 These links are to content on external websites and we cannot guarantee the articles will always be available.